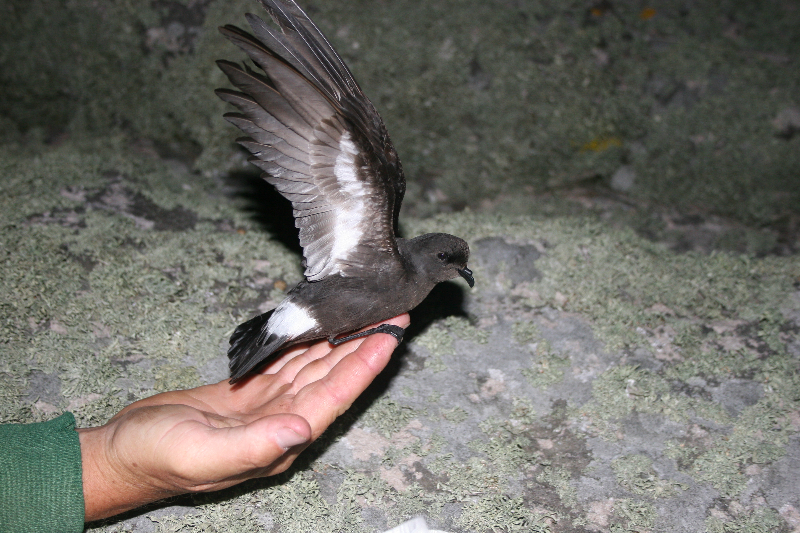 Nicci, Cristina and I spent the past couple of days, Monday and Tuesday, working on Burhou. 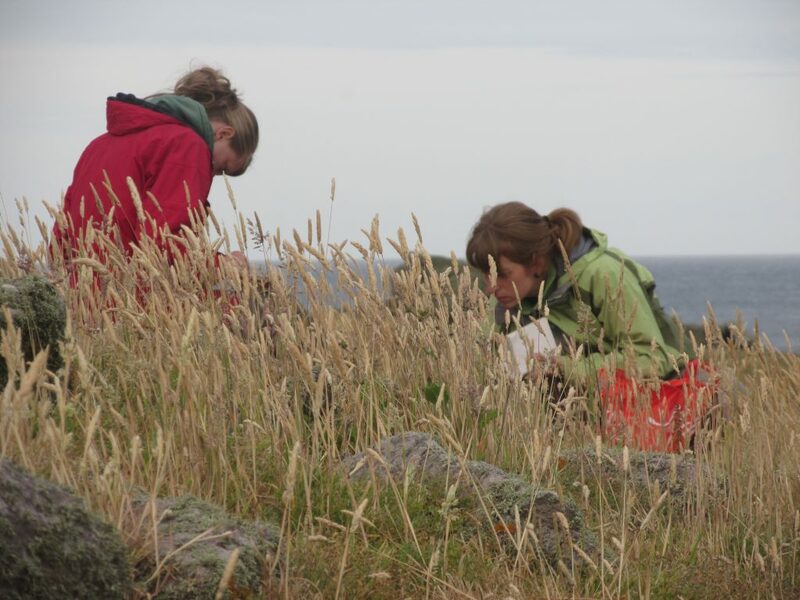 We monitored the puffins, shags and gulls whilst also checking on the rat chew sticks that Nicci laid out on a previous visit and identifying some of the species of vegetation on Burhou. Here is how all these works played out. 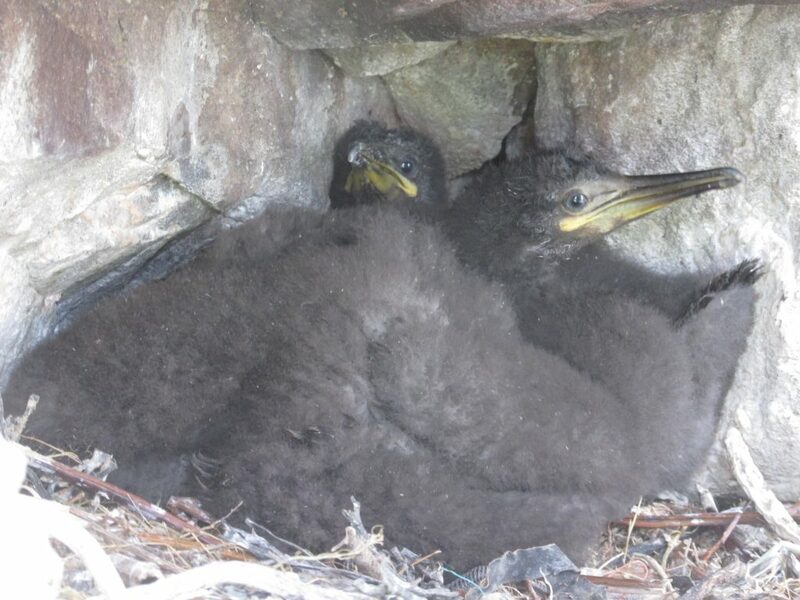 The puffins are coming towards the end of their breeding season now; the pufflings may well be fledging as soon as next week! 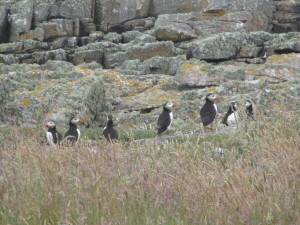 This means there is a lot of activity on the land as the puffins bring back fish for their chicks. Of course they also spend a short time outside the burrows to communicate with their neighbours. At this time of year we also get the non-breeders joining the colony, staking a claim to a territory for next year. 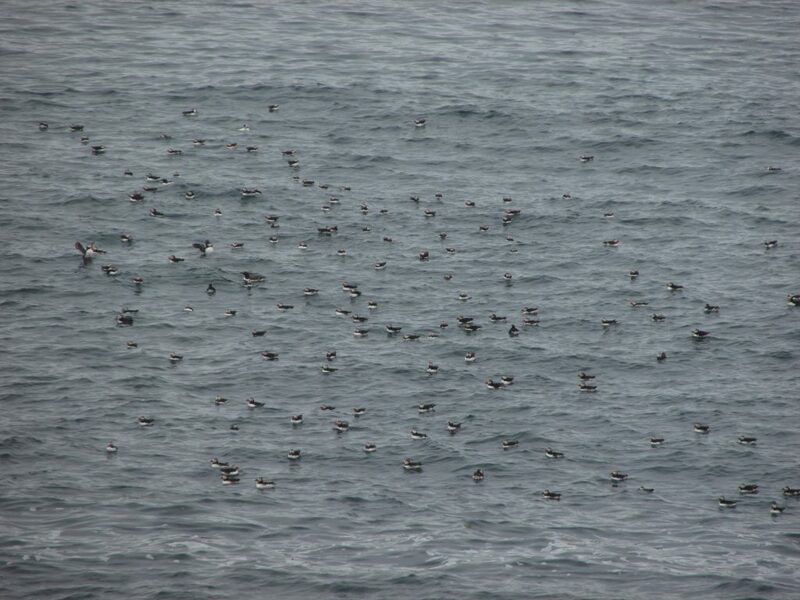 This means we have more puffins on the water than at any time previously in the season. 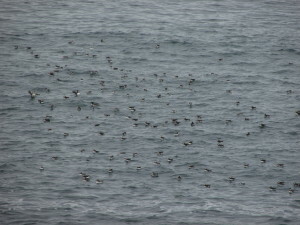 On Monday evening we had 226 puffins on the water! 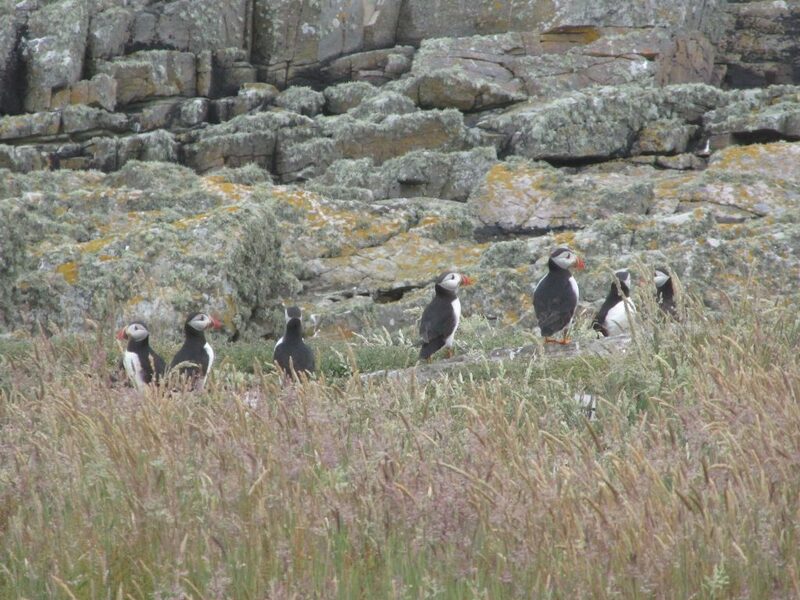 But the best view of the puffins is watching them fly from the water and over the land before they either go into their burrows or, most often, land back on the water. The shag and gull monitoring consisted of checking chicks. The shags on Burhou have just two nests with chicks on, they are not doing as well as Little Burhou or Coque Lihou, but those two nests now have very big chicks in them. 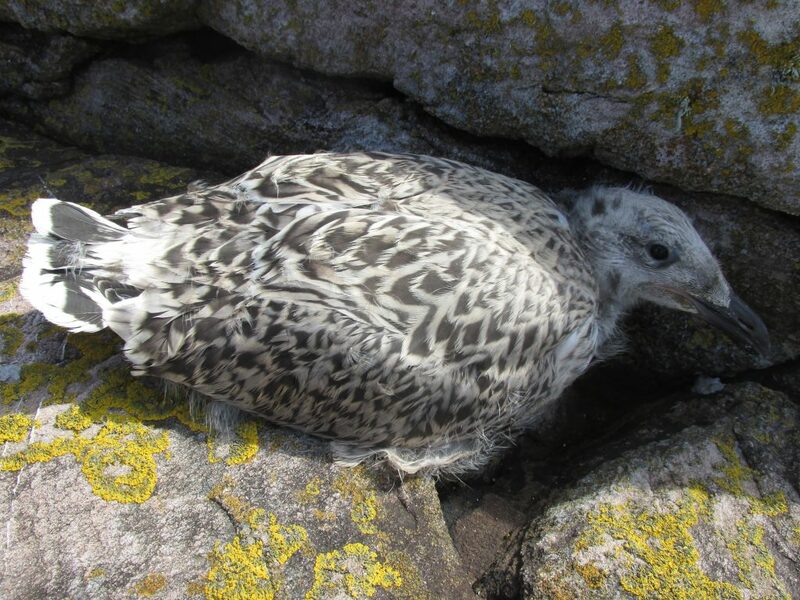 The gulls are also growing up well, in fact this weekend I will be going to Burhou with a couple of ringers from Guernsey to find as many chicks as possible and ring them; you will hear all about this next Wednesday. But for now it is great just to see them growing up. The final piece of work we completed was checking Nicci's rat chew sticks. We were looking for any indications of rats and luckily there were none. 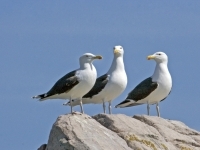 Rats are a problem for burrow nesting birds like puffins and storm petrels as they can get in and steal eggs or chicks. Burhou is confirmed as still being rat free and we aim to keep it that way. 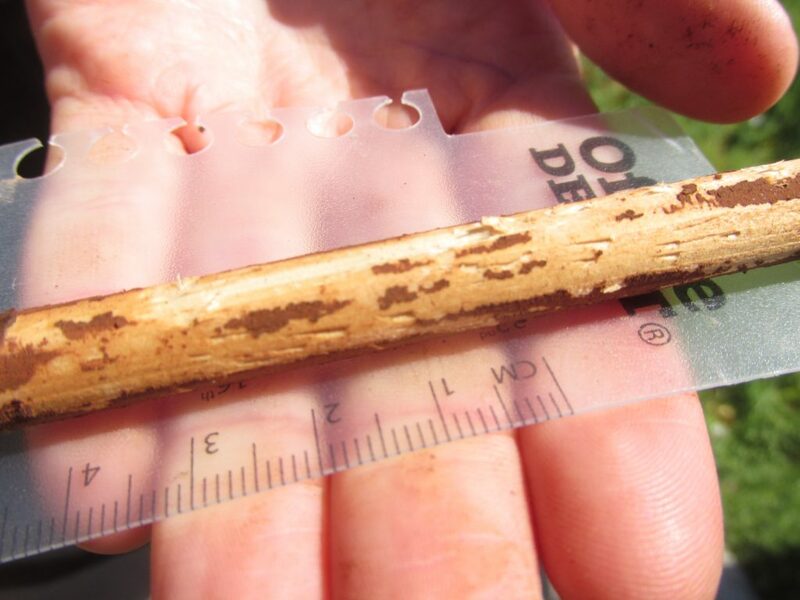 Cristina did a vegetation survey around each of Nicci's chew sticks in case vegetation type is a factor in terms of finding rats or other small mammals. 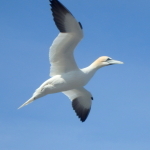 It could be that these animals prefer habitats of certain vegetation types so both surveys work concurrently. Whilst we didn't detect any rats we did detect mice. 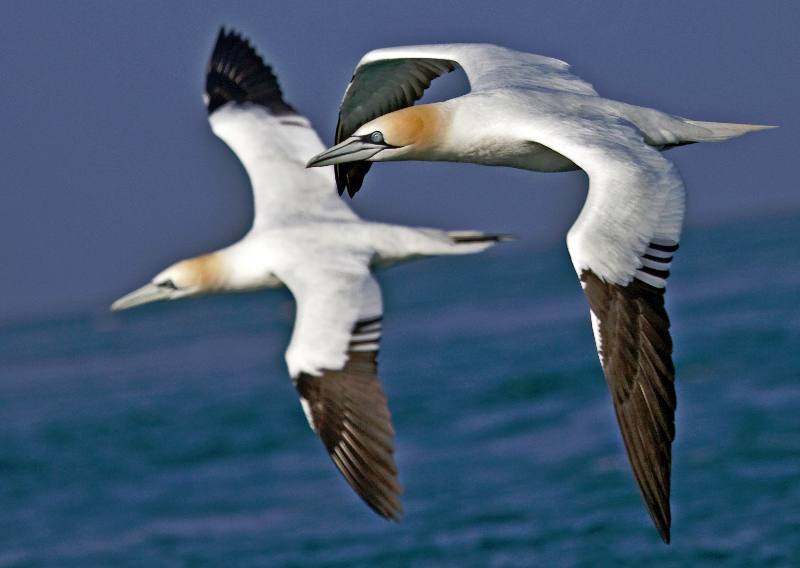 These are not a problem for the seabirds, but we certainly weren't expecting them either! You can see the tiny chew marks on the wooden sticks where they have gone through the cocoa coating. You can also see where full strips of wood have been pulled away. 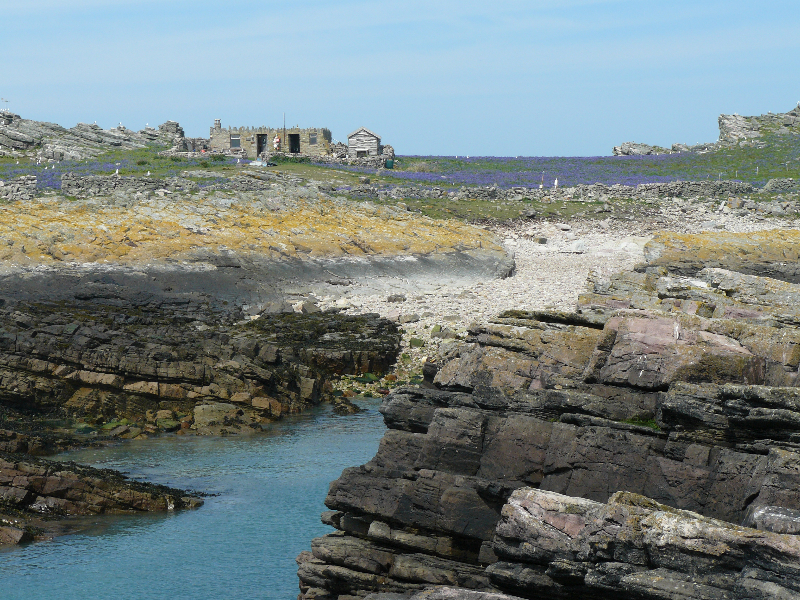 Our rat presence surveys will continue on Burhou, and in other locations around Alderney, over the coming few weeks and we will update with any developments.